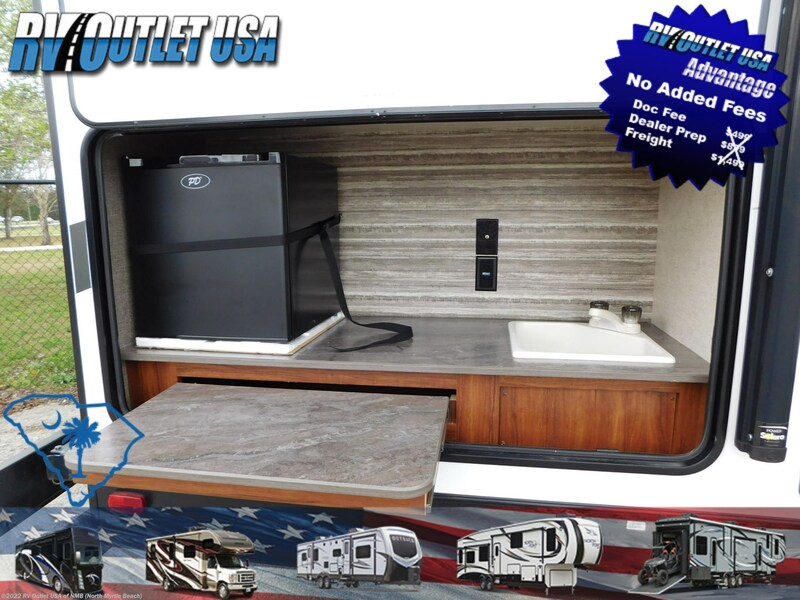 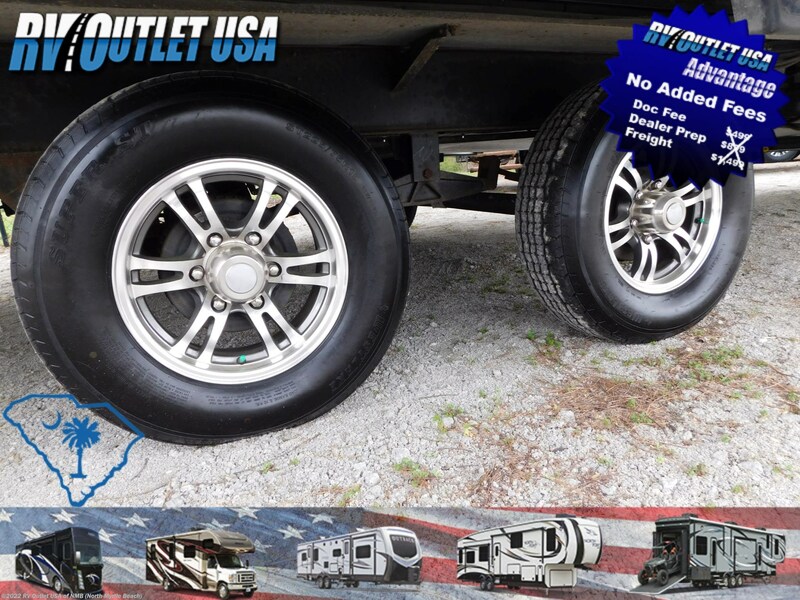 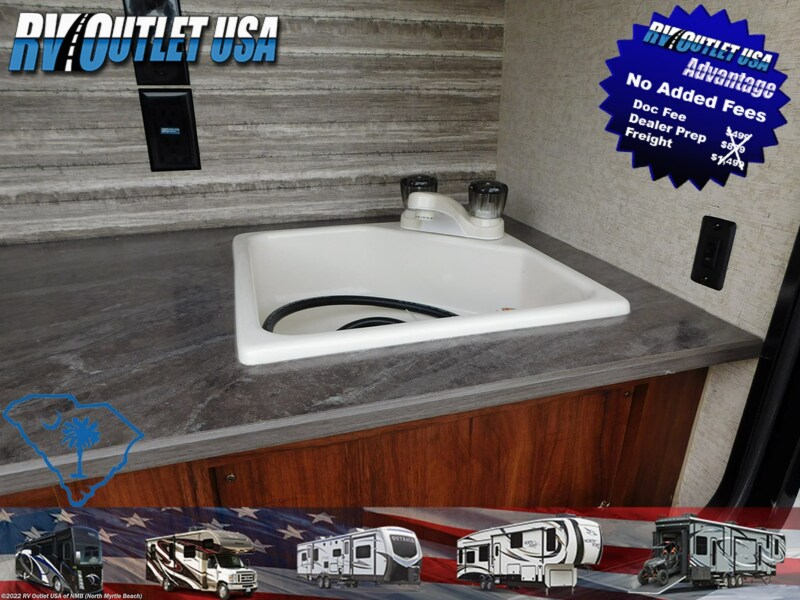 SUPER CLEAN 2018 HEARTLAND MALLARD M28 TRAVEL TRAILER! 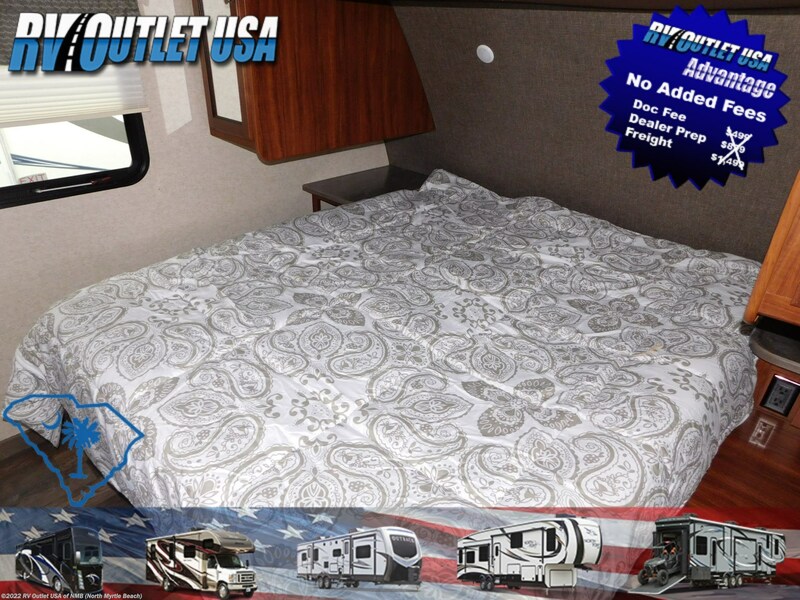 SLEEPS (6) ** POWER TONGUE JACK ** FIBERGLASS FRONT CAP! 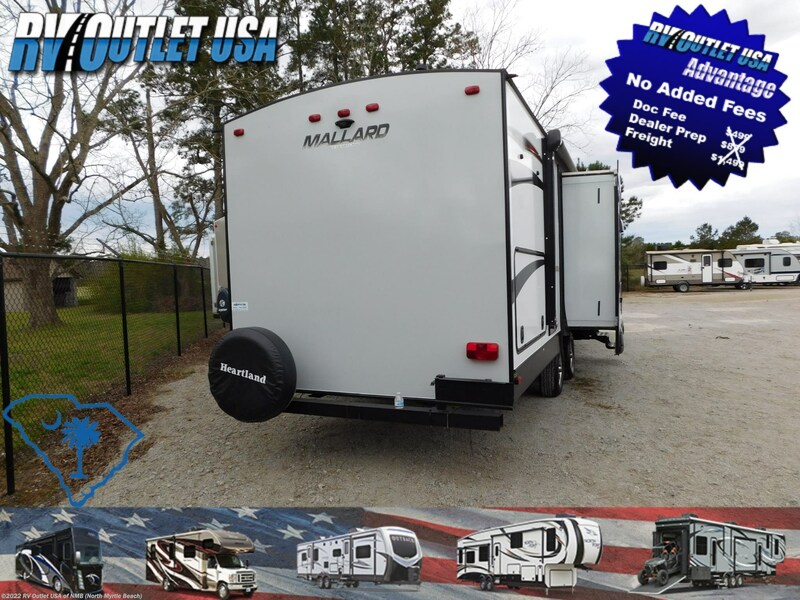 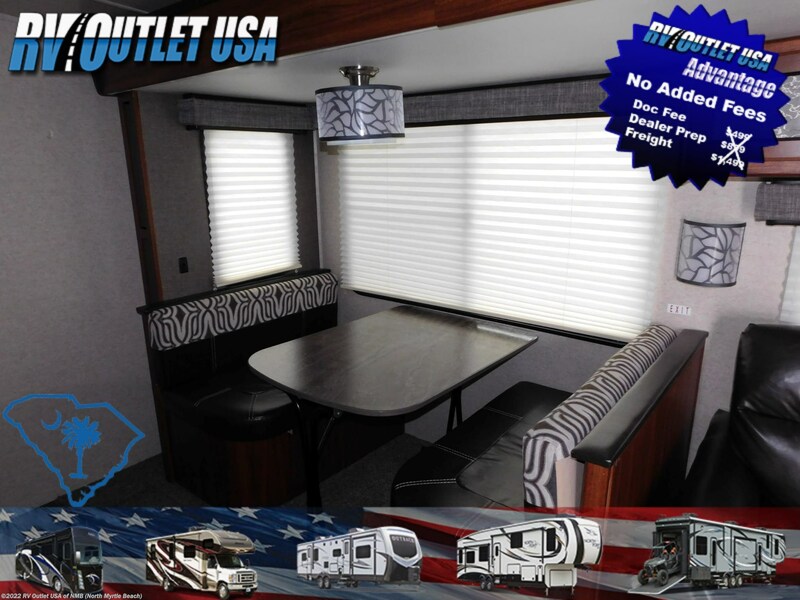 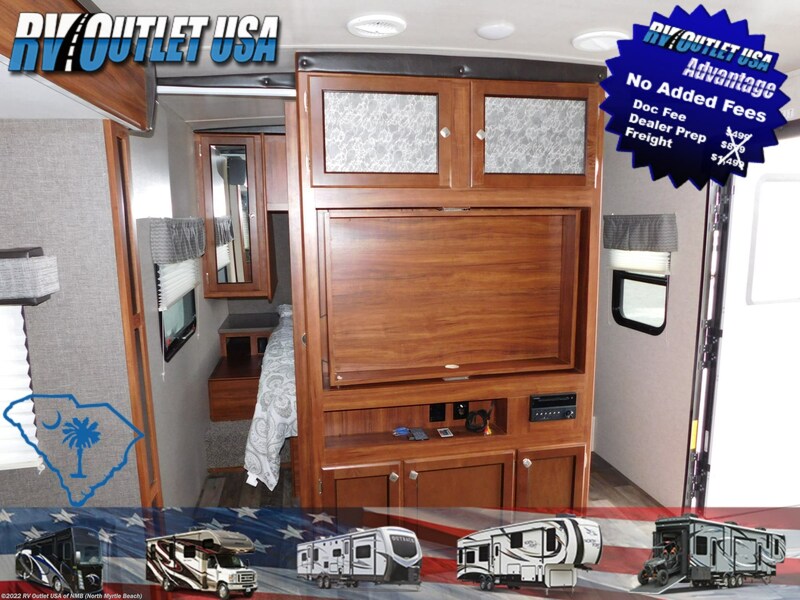 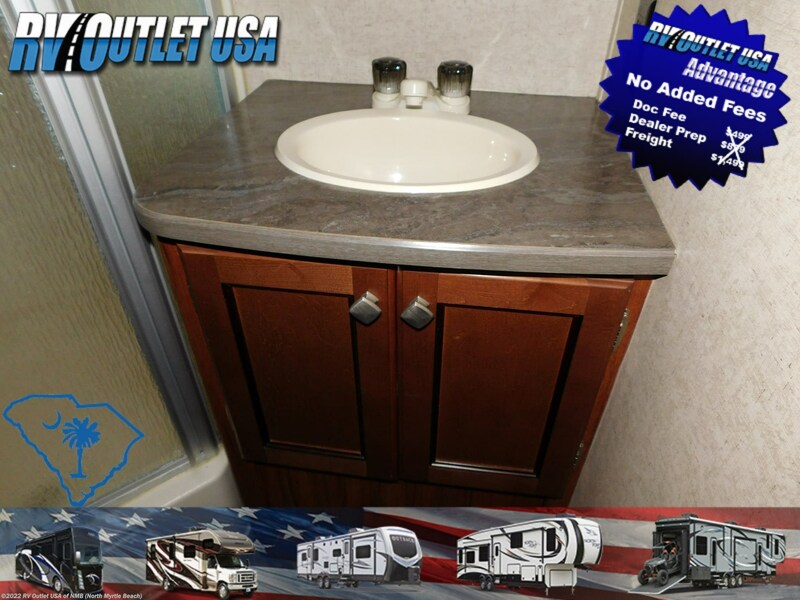 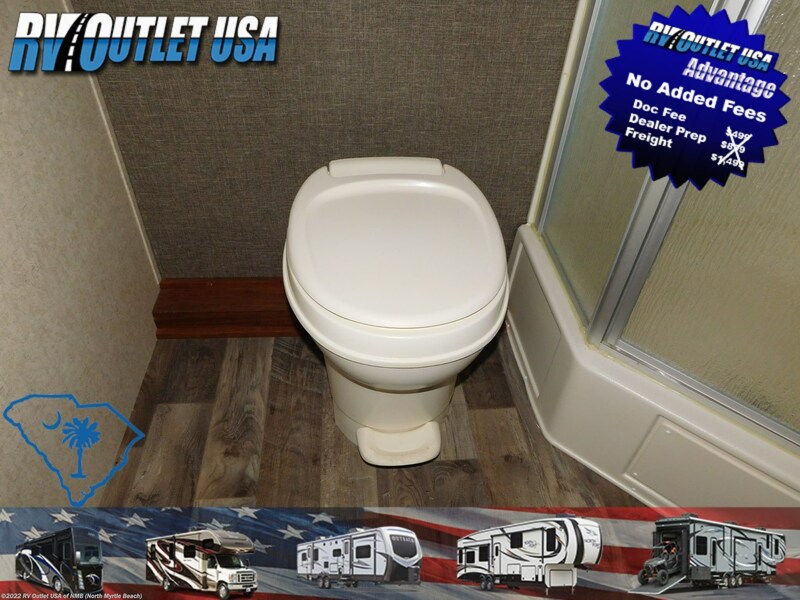 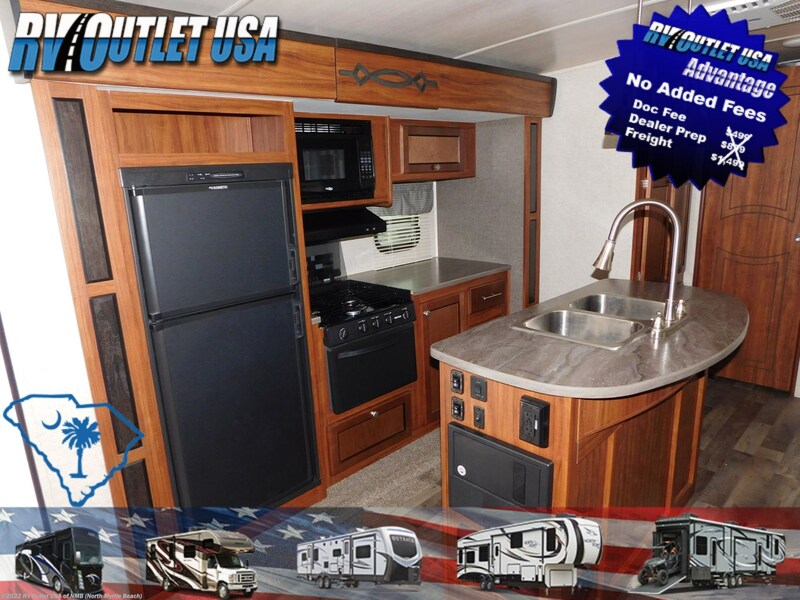 If you’re in the market for a super clean, ultra light fiberglass travel trailer with a lot of interior room in a huge rear bathroom, then this 2018 Heartland Mallard 28M may just be the coach for you!! 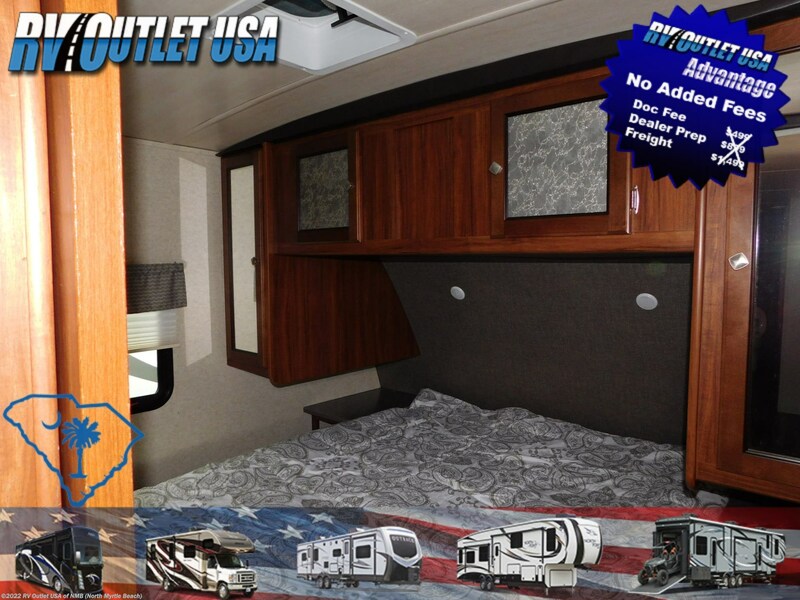 It has a walk around queen bed in the front with wardrobes on both sides, overhead cabinets and underneath storage. 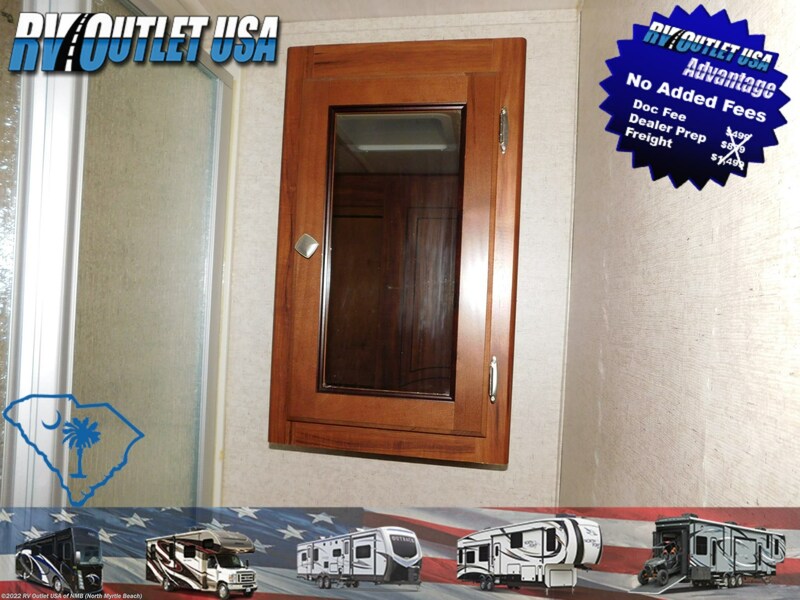 It also has two solid doors that close for privacy. 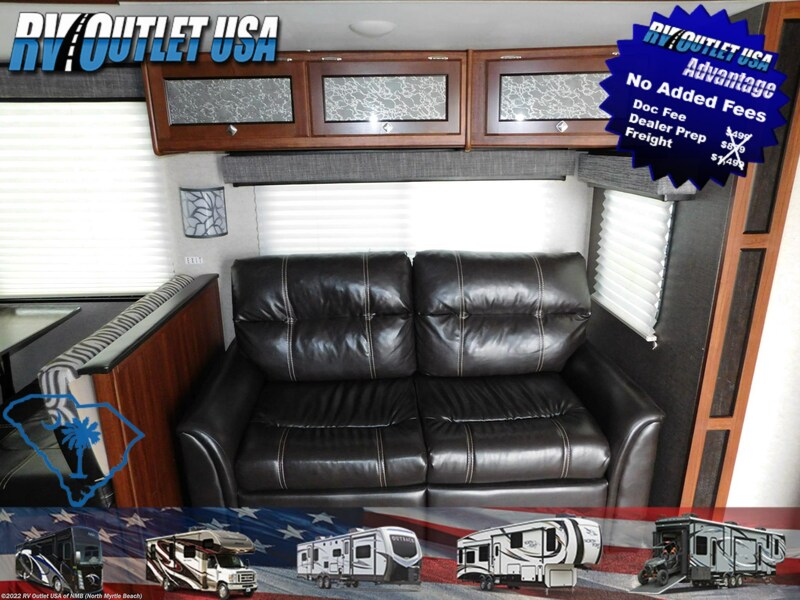 The entertainment center is in the middle of the coach and allows you to mount up to a 45" TV which can also swivel around so you could see it from the master bed and it has the new Furrion AM/FM/CD/DVD player. 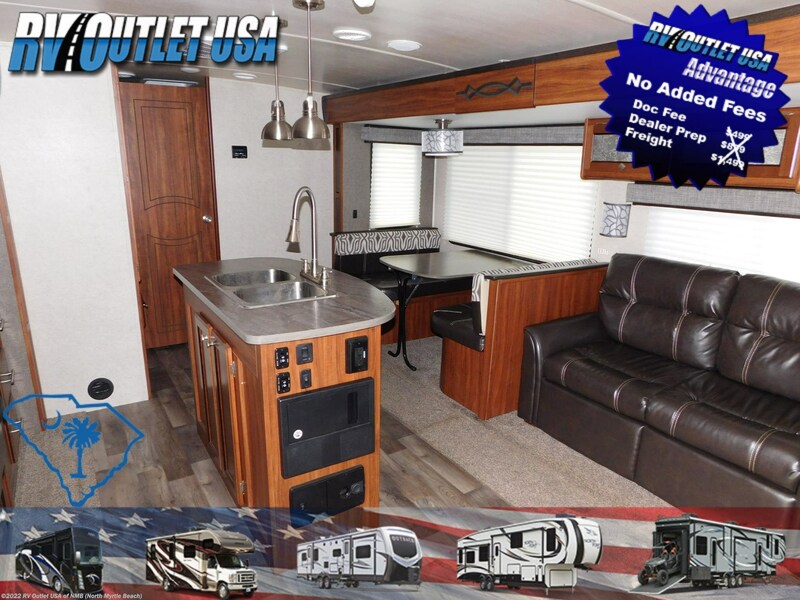 The living area in this travel trailer is very spacious because of the two opposing slides. 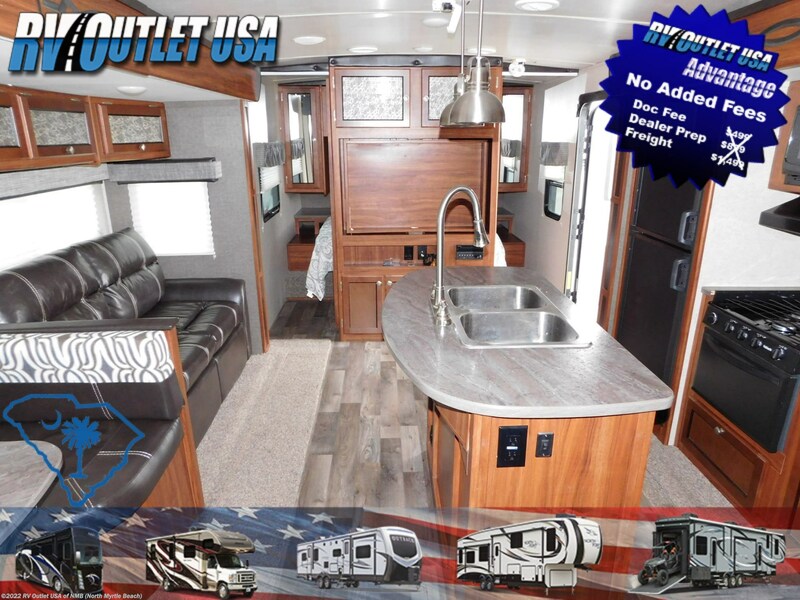 The slide on the off door side is a huge super slide with a sleeper sofa towards the front and a booth dinette towards the rear which also converts into a bed for extra sleeping room. 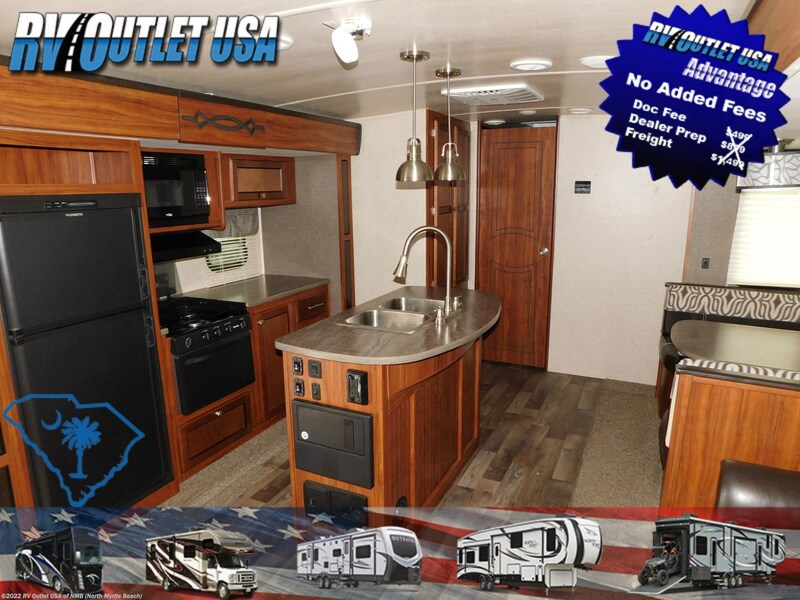 It does have a kitchen island with a double stainless sink and a high arc pull out sprayer with underneath storage. 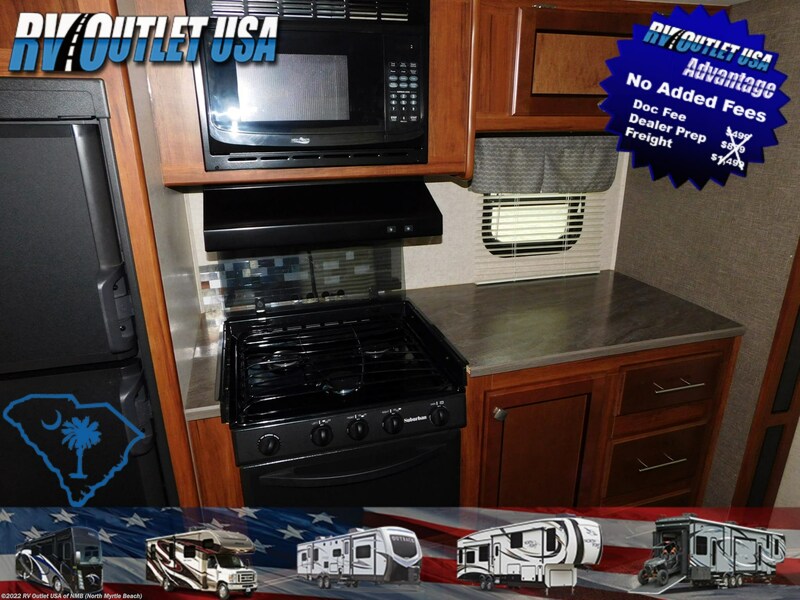 It has a kitchen slide on the door side which has a three burner Suburban cook top with glass cover and it has the matching suburban oven, above that is an overhead microwave oven with an exhaust hood, several cabinets and drawers for storage, a double door Dometic refrigerator, and a large pantry for food storage! 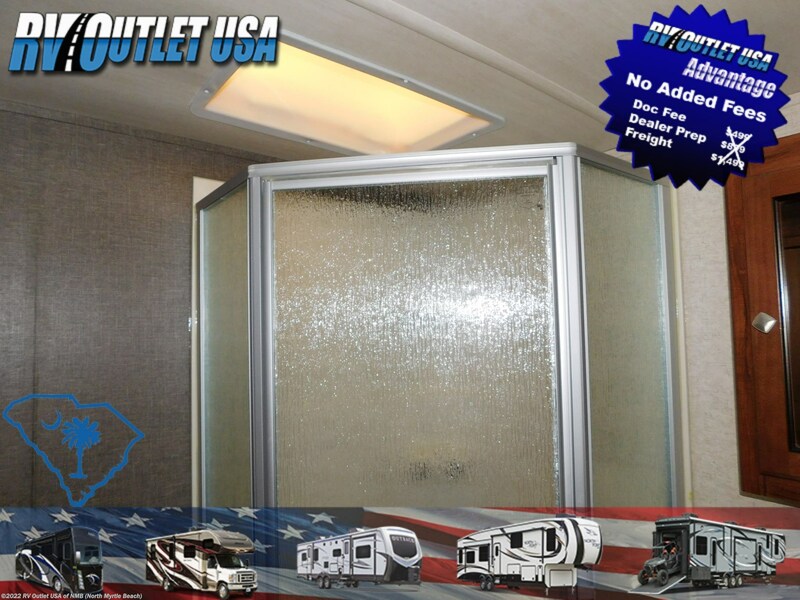 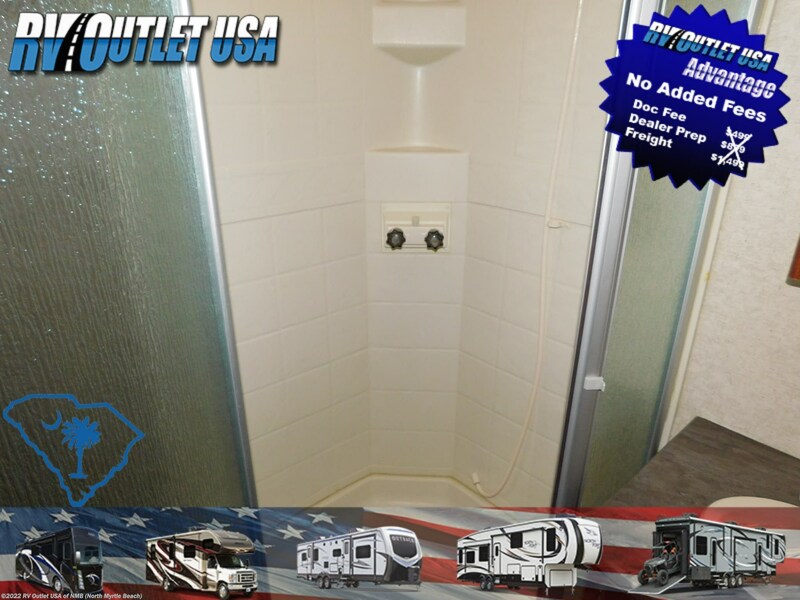 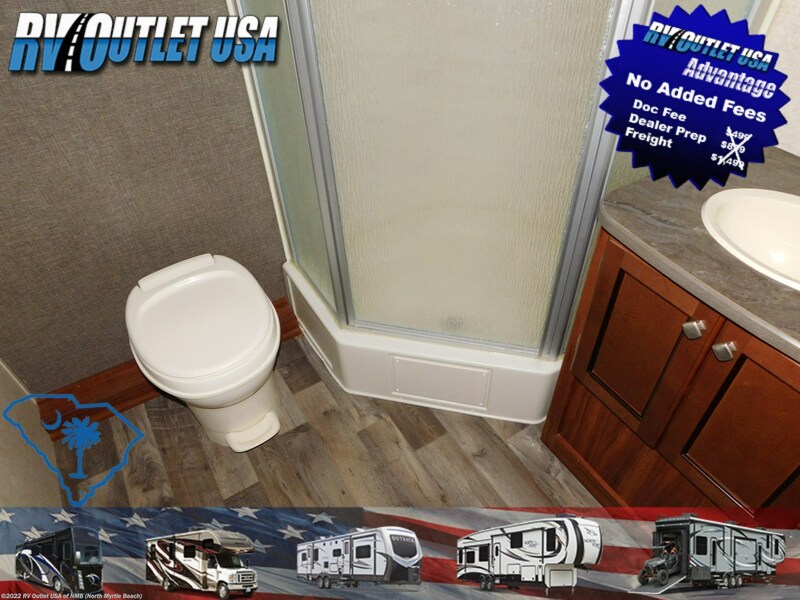 Again, in the rear of this RV is a huge master bathroom with a NEO angled shower with glass surround, a foot flush toilet, it has a sink with underneath storage and a medicine cabinet. 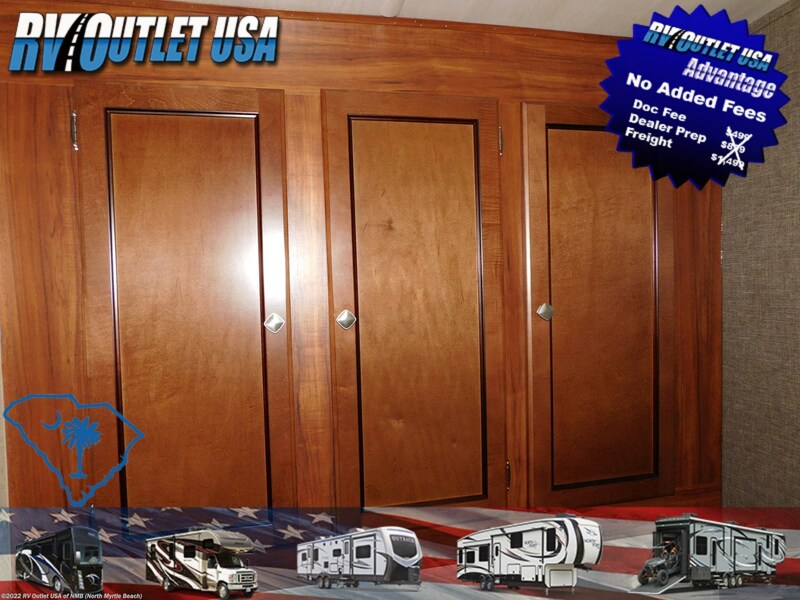 Beside the toilet is a large closet for your linens and towels. 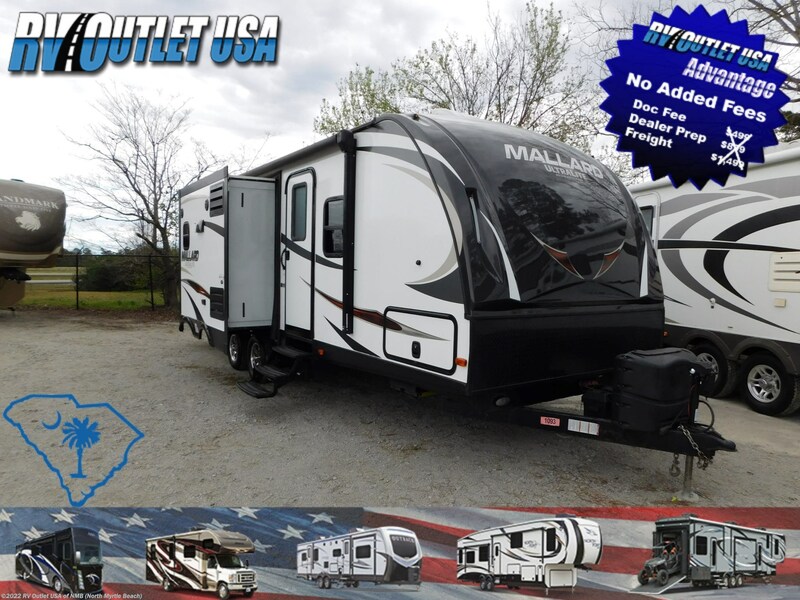 Some nice features on this Mallard 28M is, it has a ducted roof air, plank wood look flooring, (it honestly looks new inside, the previous owners took very, very good care of this this RV), it has pull down privacy shades, the exterior of this RV is in great shape as well. 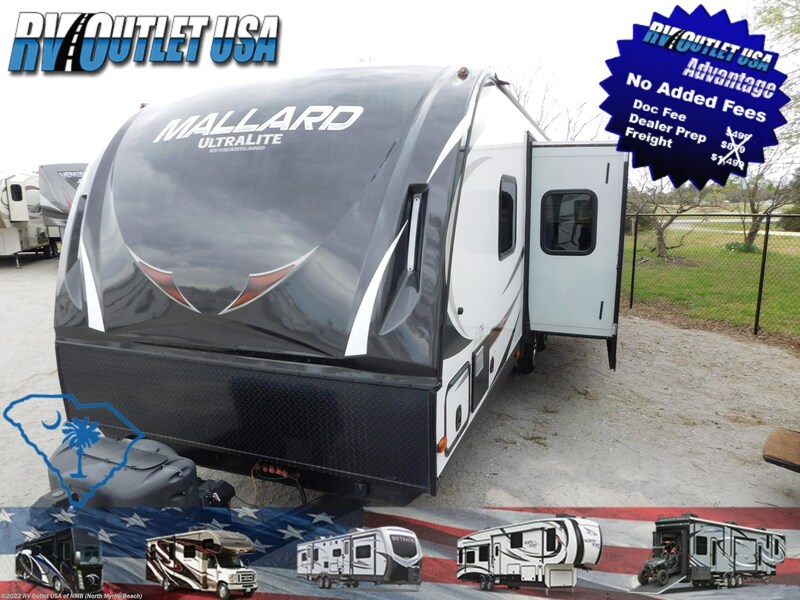 The Mallard products have vacuum bonded roof, floors, and side walls, it has a 12' power awning, exterior speakers, black frame tinted safety glass windows, aluminum wheels, an exterior kitchen, front and rear power stab jacks, a spare tire, and outside shower, cable TV hook ups, a slide topper on the main slide out, front pass-through storage, a fully painted front cap, to LP tanks with cover and the power front tongue jack. 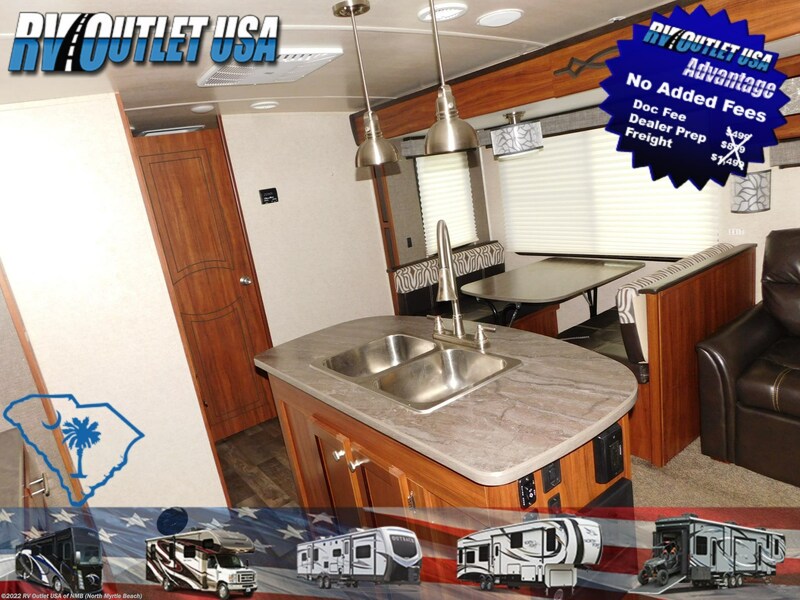 If you have any other questions, please feel free to give us a call at 1-843-756-2222 and ask for sales. 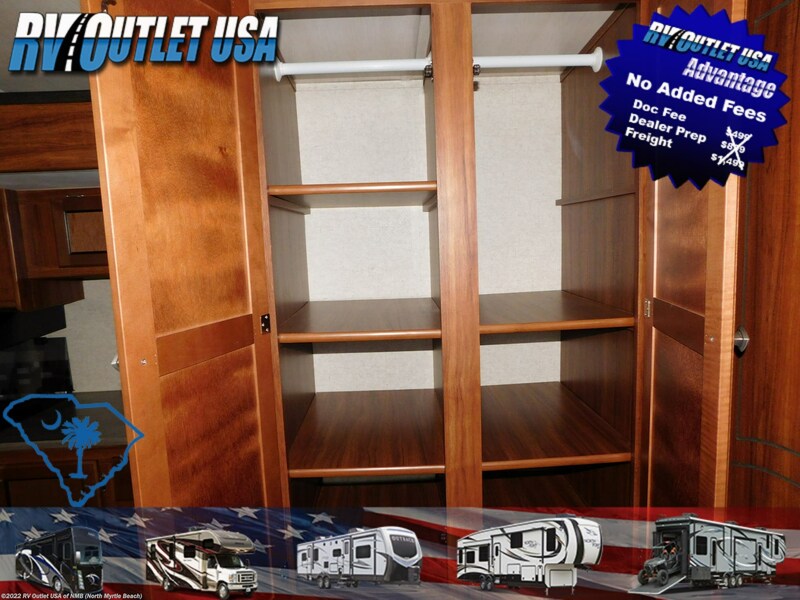 You can also visit our direct website at RV007.COM and our email address is . 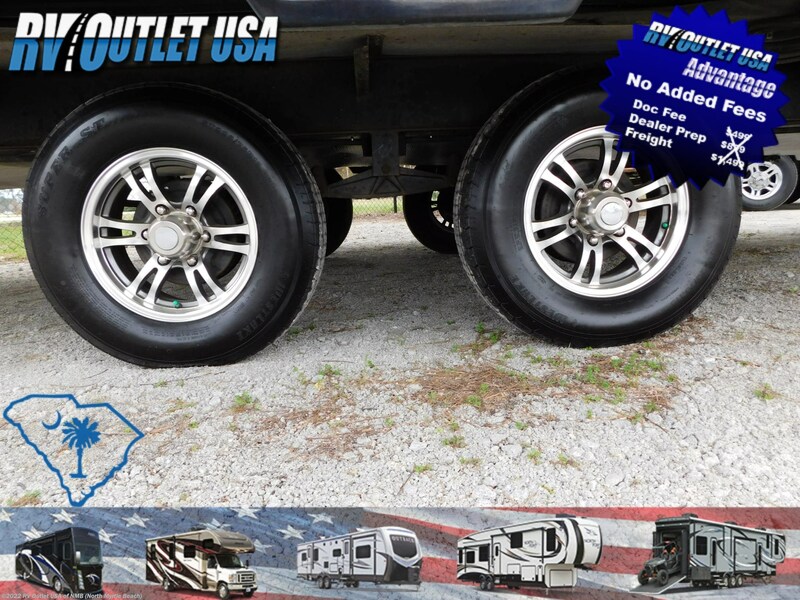 Please keep in mind, we have NO DOC, PREP, PDI, TRANSPORT or any other fees like the larger chain stores have and we always offer our customers huge discounts on weight distribution kits, parts and accessories! 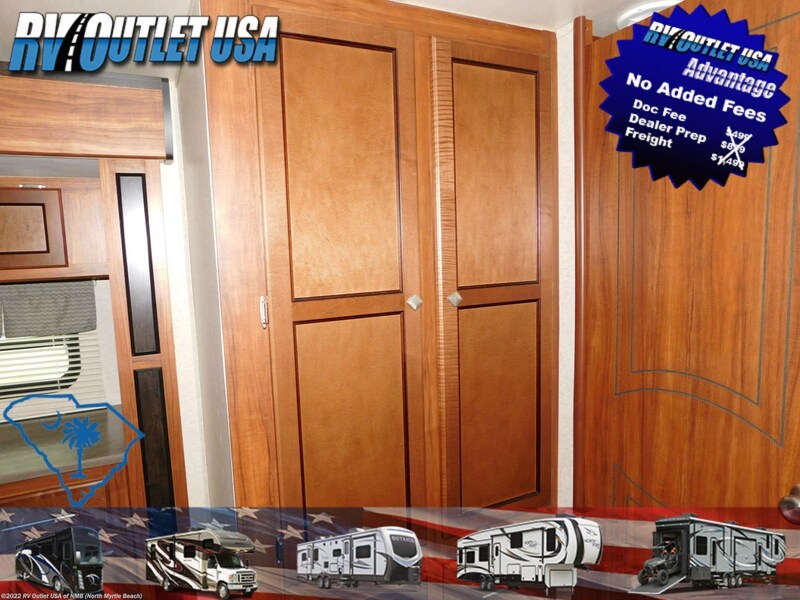 Give us a call, we'll do our best to earn your business. 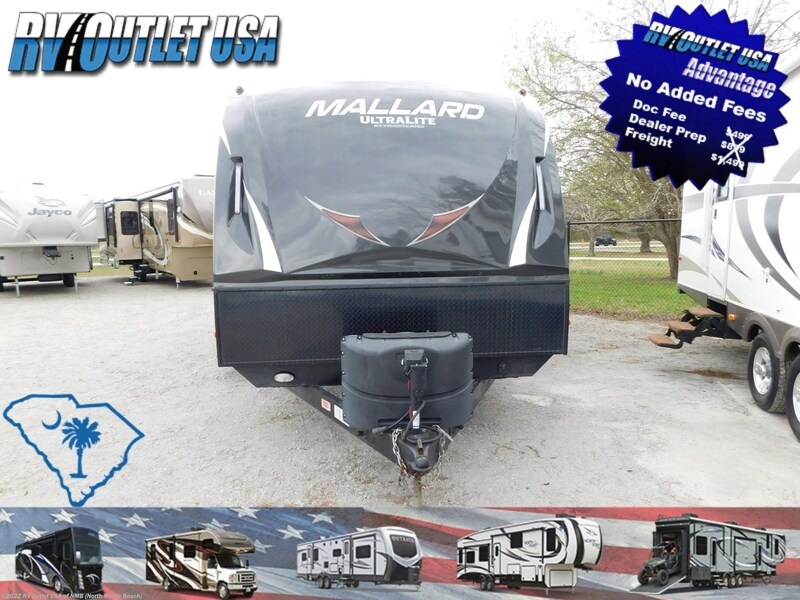 See this Stock # RVJE8735A - 2018 Heartland Mallard M28 on RV Outlet USA of NMB! 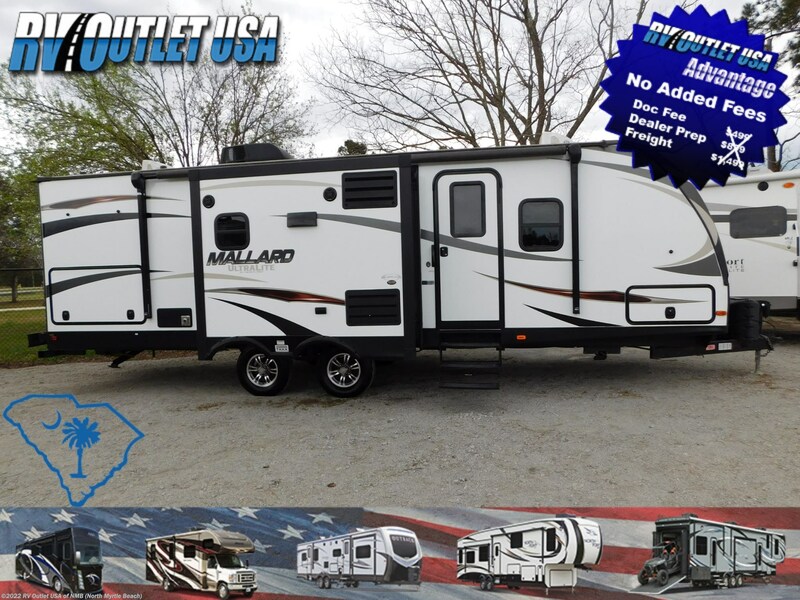 Check out Stock # RVJE8735A - 2018 Heartland Mallard M28 on heartlandrvsource.com!